When Twitter goes down... from Kosso on Vimeo. Twitter is currently down, but engineers are trying to fix the issue. "Users may be experience some issues with our service; our engineers are currently working on this issue," Twitter wrote. 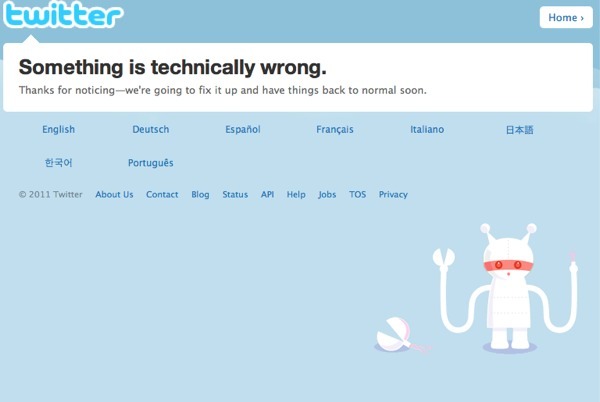 When you visit Twitter.com, the site reads, "Something is technically wrong." 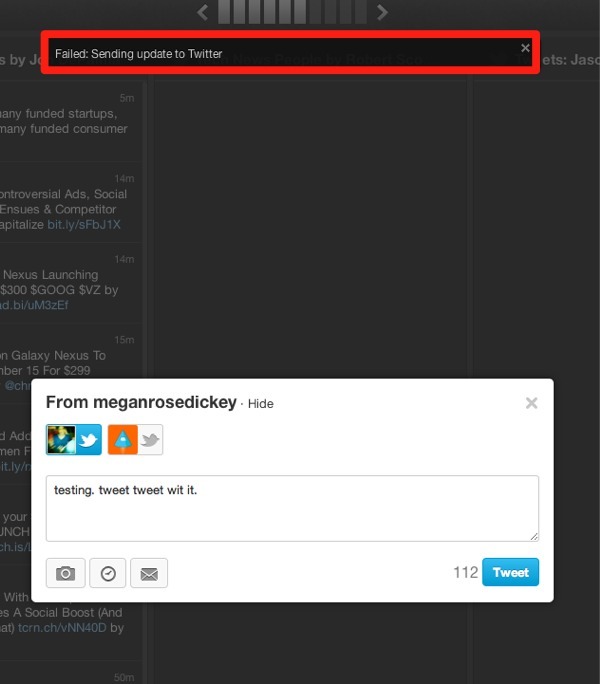 Tweeting from TweetDeck, however, does seem to work. The International Business Times reports that Twitter has been down since shortly after 2pm PT, when the Obama administration commented that the president will most likely not veto the National Defense Authorization Act. At that point, the Twitterverse exploded. "The Tweets ran the gamut from (I'm paraphrasing here): "Thank god I live in Europe now" to "With #NDAA and #SOPA coming, we'll never Tweet again," and of course "Congress is a terrorist organization," the IBT writes.